Over the past few months, cricket fans — myself included — have fixated on Kevin Pietersen’s exclusion from England’s World Cup team, Michael Clarke’s battle to be match ready and whether West Indies cricket would implode before a ball was bowled. On Thursday, these petty musings were put into perspective when Afghanistan, playing in only its second World Cup match, pulled off an unlikely win against Scotland. Seven wickets down and still requiring 114 runs, they looked gone for all money. Samiullah Shenwari had other ideas. He dug in, whacking a gallant 96, his wicket falling 19 runs shy of the winning target. Gutted, he trudged back to the dressing room, thinking the match lost. It was a fair assumption. With one wicket remaining, Afghanistan’s fate now rested with Shapoor Zadran and Hamid Hassan. They’re in the side for their bowling, neither averaging more than seven in the runs department. Hassan is better known for his cartwheels than his batting. Yet somehow they clawed out the necessary runs, securing Afghanistan’s first World Cup win with three balls to spare. On the field, there were epic celebrations. Back home, their countrymen went bonkers. And why not? For decades, sport — indeed everything — has taken a back seat to war in Afghanistan. One million Afghans died during the Soviet occupation of the 1980s. A further 400,000 perished in the ensuing civil war. 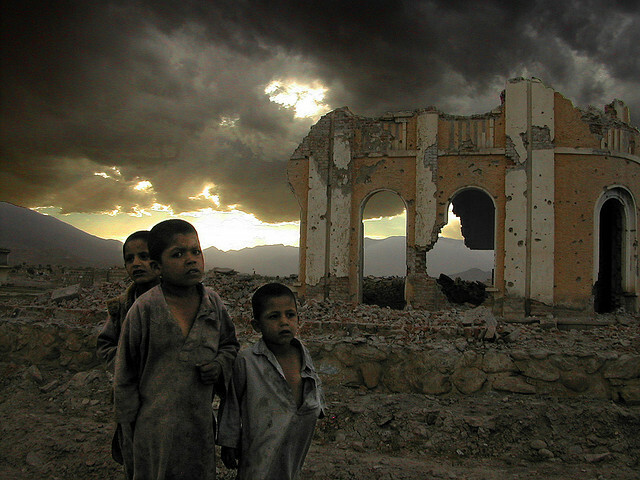 Since 2001, when the US launched Operation Enduring Freedom, 20,000 Afghan civilians have been killed. Under the Taliban fun police, sport was banned altogether. Even the traditional pursuits of buzkashi, where men on horseback try to chuck a goat carcass through a goal, and kite flying were off limits. 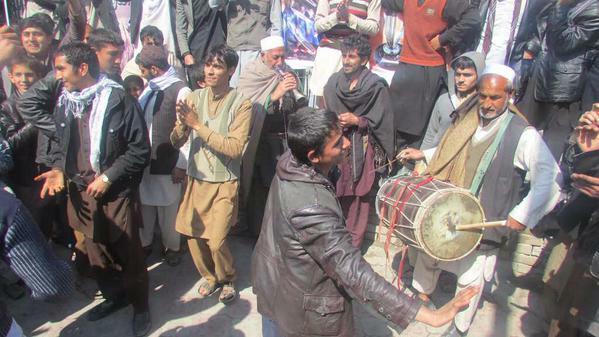 Ironically, the Taliban can take some credit for the emergence of cricket in the war-torn nation. Many Afghans, including members of the current team, discovered the sport when they fled to Pakistan to take refuge from the Taliban regime. When they returned, they brought the game with them. The national team was established in 2001 as the Taliban was toppled. Boarding the plane for Australia a few weeks ago, Afghanistan cricket captain Mohammad Nabi spelled out the team’s mission. Tragedy remains never far from the surface in their homeland. As Shapoor racked up the winning runs in Dunedin, rescuers looked for avalanche survivors north of Kabul. The death toll stands at more than 200. 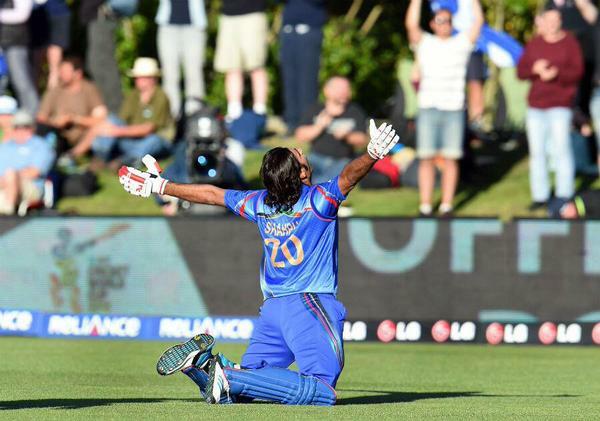 The Afghan cricket team dedicated their win to the victims. On the same day, a Taliban suicide bomber killed a soldier in an attack on the Turkish embassy in Kabul. Winning a cricket game is not simply a distraction from such troubles. It’s an expression of national pride, a rallying point for a riven country. Above all, it’s a demonstration of what people can rise above. On Wednesday, Afghanistan plays Australia. They fancy their chances. And who could begrudge them if they won?